We’ve had “bee on the brain” lately here at Jump Into a Book! Maybe it’s the summer blooms, maybe it the honey I put on my cereal today…either way, my family loves and supports all things bees. And we know we are not alone! Bees play a key role in the productivity of agriculture and the beauty of our world and are responsible for the pollination of fruits, vegetables, nuts, and flowers. But our cherished bees are facing peril in the form of the disruption of natural habitats. 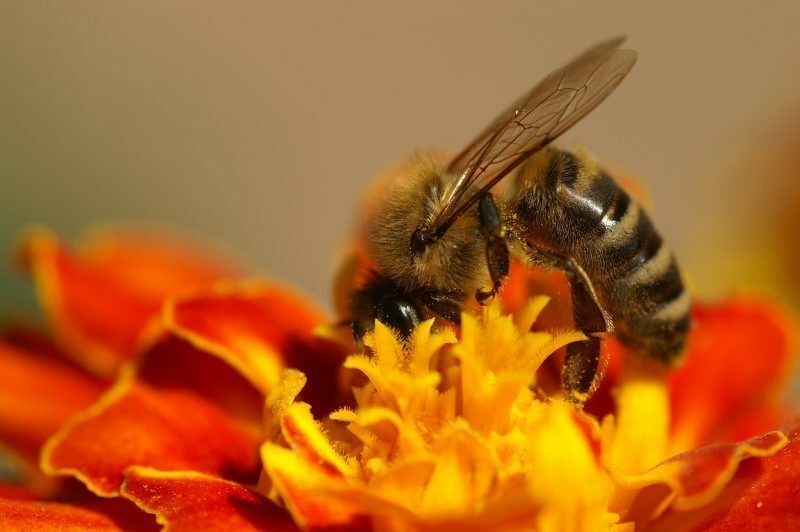 This disruption is in the form of lack of “bee flowers” due to the widespread overuse of pesticides, and numerous bee diseases and parasites have pushed bees to the tipping point. The best way we know how to raise awareness on the plight of our beautiful bees is via books, recipes, and activities. Books, Recipes, and Activities Celebrating Bees! I just pulled together this delightful booklist not long ago! A few are books you will recognize from past JIAB book reviews, but a few are brand new as well. Enjoy! 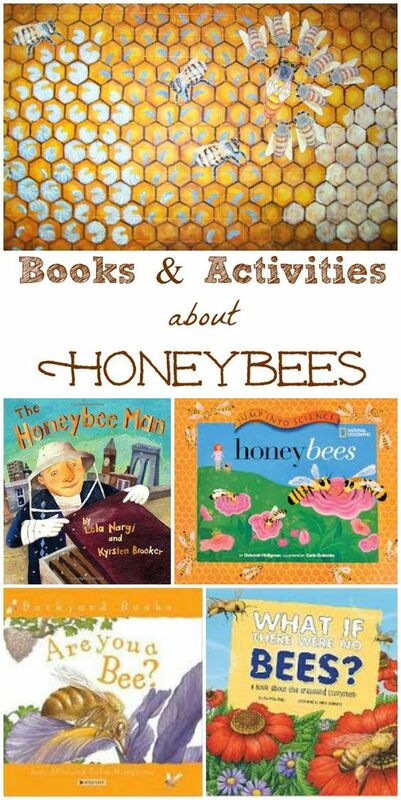 Edventures With Kids also has a great booklist celebrating bees, honey, and kids. Kids will enjoy learning about honeybees with these fun facts, great books, and hands-on activities! Believe it or not, you have a bee to thank for every 1-in-3 bites of food you eat. Honey bees — wild and domestic — perform about 80 percent of all pollination worldwide. A single bee colony can pollinate 300 million flowers each day. Grains are primarily pollinated by the wind, but fruits, nuts, and vegetables are pollinated by bees. Seventy out of the top 100 human food crops — which supply about 90 percent of the world’s nutrition — are pollinated by bees. Greenpeace USA has great tips and behind-the-scenes info on all of us can work to save the bees. My hometown of Maryville TN is home to a bee expert that we all know as The Honey Man and even “The Bee Whisperer!” Howard has been raising bees for over 51 years and is a wealth of education and wisdom. Food giant General Mills’ Cascadian Farm division also launched Bee Friendlier in 2014, a program to increase awareness of the decline of bees and what the company can do to help them thrive. JDaniels4Mom has a great (and free) printable math and game sheet with the topic of Bees. Dissolve yeast with warm water in a small bowl. Set aside. In a large pan, melt shortening and add HONEY, salt, and milk, and allow it to cool. Beat eggs and add to yeast mixture. Then, beat in flour. Turn out dough on floured surface and knead until smooth. Place dough in a bowl and let it rise until it’s double in bulk. Prepare two 9 X 12 pans with 1/4 cup margarine each and sprinkle with brown sugar. Add nuts and dab teaspoons of ice cream over the entire pan. When the dough has risen, punch down and place half on a floured surface and roll out to 9×12 size with a floured rolling pin. Spread with butter or margarine, then brown sugar and cinnamon. Roll up like a jelly roll then cut off about 1 1/2” slices and place on prepared 9 X 13 pan. You should get about 16 cinnamon rolls per pan. Let these rise until double in bulk. Bake in 350°oven for about 30 minutes. When brown on top turn upside down on waxed paper to cool. Be sure and check out the National Honey Board’s website for even more honey-inspired recipes! As parents, we want/need quality books with extension activities to help our young ones unplug and create memories. Pulling books from shelves, and stories from pages is also an important act that will the habit of being life-long readers. Quality books with companion book extension activities are not only working to create special family time, it allows kids to solve the world’s problems without major consequences. A Year in the Secret Garden is just such a book. Grab your copy ASAP and “meet me in the garden!” More details HERE!